This book can help you and your congregation successfully navigate change to attain rewards that far exceed the risk. 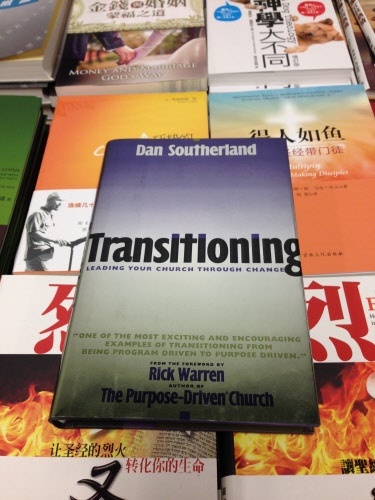 Drawing the principles from the book of Nehemiah, Pastor Dan Southerland maps out an eight-step strategy for moving from a typical, program-driven church to a purpose-driven church. He takes you step by step through: (1) Preparing for Vision, (2) Defining the Vision, (3) Planting the Vision, (4) Sharing the Vision, (5) Implementing the Vision, (6) Dealing with Opposition, (7) Making Course Corrections, and (8) Evaluating the Results.